Yes we too can think outside of the box. 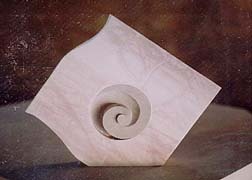 Ferree Studios offers a variety of abstract sculptures for those people who prefer non-traditional forms of art. Contact us today for additional information.